While the possibility of producing a de-colonized, postcolonial knowledge in development studies became a subject of considerable debate in the 1990s, there has been little dialogue between postcolonialism and development. However, the need for development studies that is postcolonial in theory and practice is now increasingly acknowledged. This means recognizing the significance of language and representation, the power of development discourse and its material effects on the lives of people subject to development policies. It also means acknowledging the already postcolonial world of development in which contemporary reworkings of theory and practice, such as grassroots and participatory development, indigenous knowledge and global resistance movements, inform postcolonial theory. Postcolonialism and Development explains, reviews and critically evaluates recent debates about postcolonial approaches and their implications for development studies. By outlining contemporary theoretical debates and examining their implications for how the developing world is thought about, written about and engaged with in policy terms, this book unpacks the difficult, complex and important aspects of the relationship between postcolonial approaches and development studies, making them accessible, interesting and relevant to both students and researchers. Each chapter builds an understanding of postcolonial approaches, their historical divergences from development studies and more recent convergences around issues such as discourses of development, knowledge, and power and agency within development. Up-to-date illustrations and examples from across the regions of the world bring to life important theoretical and conceptual issues. 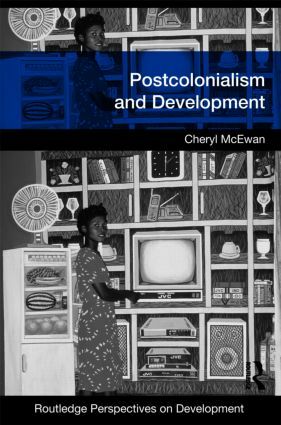 This topical book outlines an agenda for theory and practice within postcolonial development studies and illustrates how, while postcolonialism and development pose significant mutual challenges, both are potentially enriched by each others insights and approaches.